The impact of fake news is said to have influence elections and in some circumstances, crimes. 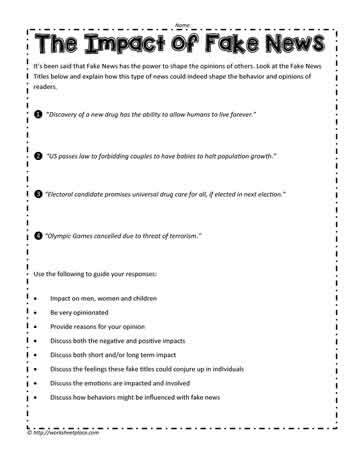 This middle school worksheet requires students to determine the impact of fake news. There is a positive side to fake news if it makes you a wiser person and not believe everything you read.